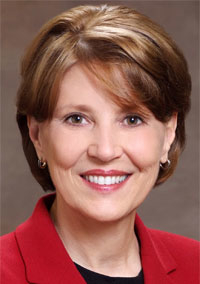 Teri Fontenot has been elected chair-elect designate of the American Hospital Association, effective January 2011. Fontenot is the president and CEO of 229-bed Woman's Hospital in Baton Rouge, La. She will assume the chairmanship in 2012. Fontenot has been at the helm at Woman's Hospital since 1996. She has also held leadership positions at St. Francis Medical Center in Monroe, La., Southwest Florida Regional Medical Center in Fort Myers, and Opelousas (La.) General Hospital. She has served as chair of the Louisiana Hospital Association. In 2005, she was named one of Modern Healthcare's Top 25 Women in Healthcare. As chair-elect of the AHA, Fontenot will preside over the association's long-range policy committee, identifying priority initiatives. She will succeed John Bluford as chairman-elect when he becomes chairman next year. Bluford is CEO and executive director of Truman Medical Centers in Kansas City, Mo.